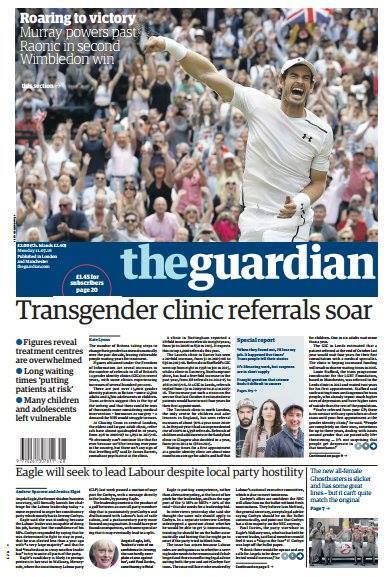 Surat-Shaan Knan, the project manager of Liberal Judaism’s ground-breaking Twilight People initiative, has appeared on the front page of The Guardian newspaper.He featured in an article titled ‘Transgender stories’, where five people told the paper about their experiences.Surat-Shaan said: “Being trans and Jewish seemed a complete oxymoron. I thought, it can’t be, I have to decide between them. 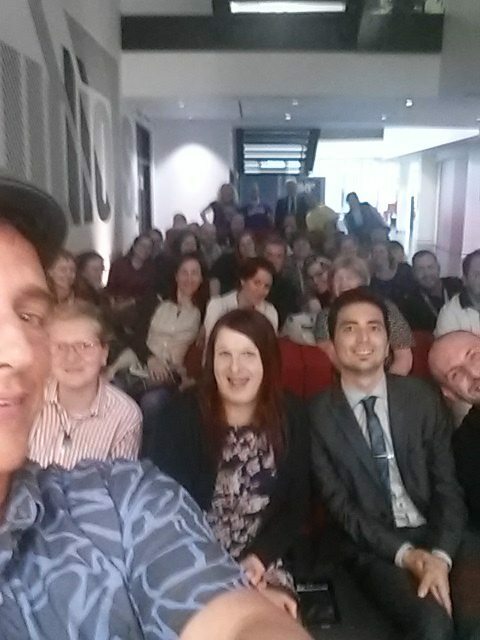 But I had this wonderful community at Liberal Judaism to give me all that space and time to come out.He added: “A lot of people from mainstream trans communities ask me, how can you be a person of faith, because even part of your own religion have been so horrible to LGBT people in general and trans people specifically? That’s true. But it’s about what faith means and leaving out what some leaders and institutions do with it. 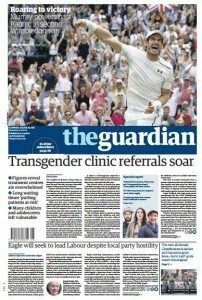 Surat-Shaan runs Twilight People, the landmark project that discovers and celebrates the hidden history of transgender and gender-variant people of faith in the UK past and present. It is supported by the National Lottery, through the Lottery Heritage Fund, and hosted by Liberal Judaism. The Twilight People exhibition is on tour around the country and currently running at the University of Salford, Manchester. 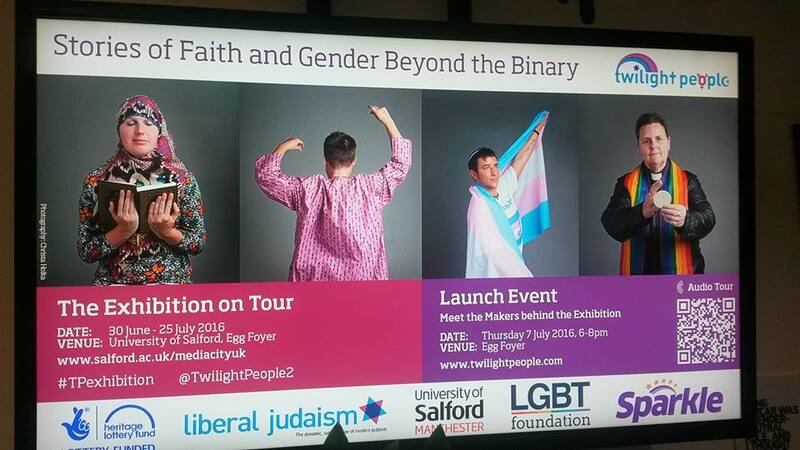 It can be found in the Egg Foyer of the University’s MediaCityUK building in Salford Quays until July 25, in collaboration with the LGBT Foundation Manchester and Sparkle. 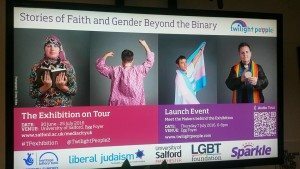 The exhibition that launched with an impressive line up of speakers last Thursday features images, videos and stories, describing the experiences of more than 40 members of different faith groups, including Christians, Muslims and Jews.